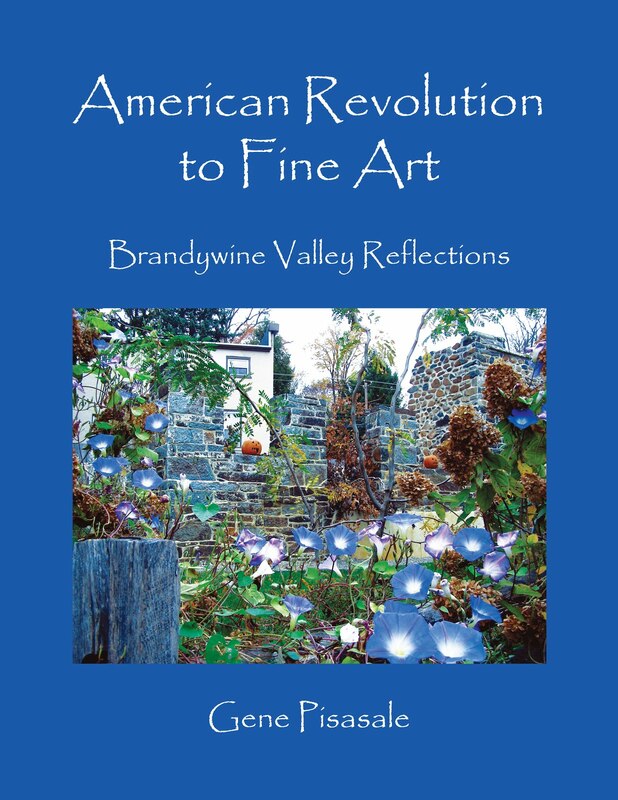 As a long-time student of history, I've been intrigued by the fact that some conflicts like the Civil War and World War II have received an immense amount of coverage in literature, film and even music- while others like the War of 1812, the Mexican-American War, the Spanish-American War, Korea and Vietnam have received little by comparison. There are likely two reasons for this: 1) these other conflicts (War of 1812, Mexican-American and Spanish-American War) were relatively short-lived by comparison and 2) some of these wars (Korea and Vietnam) did not end favorably for the U.S. Despite this discrepancy in coverage by the media, there are some important lessons to be learned from all these conflicts. The War of 1812 came foremost to my attention one day two years ago when I was visiting the Smithsonian National Museum of American History in Washington, D.C. where I saw an American icon- the Star-Spangled Banner on display. For the first time I noticed that there was a star "missing" from the flag. Indeed, when you view the banner- and photographs of it dating back to 1873 (when the first known photograph of it was taken), you'll see that there is a very large gap in the bunting. A small plaque next to the Smithsonian exhibit states that "the 15th star has never been found". 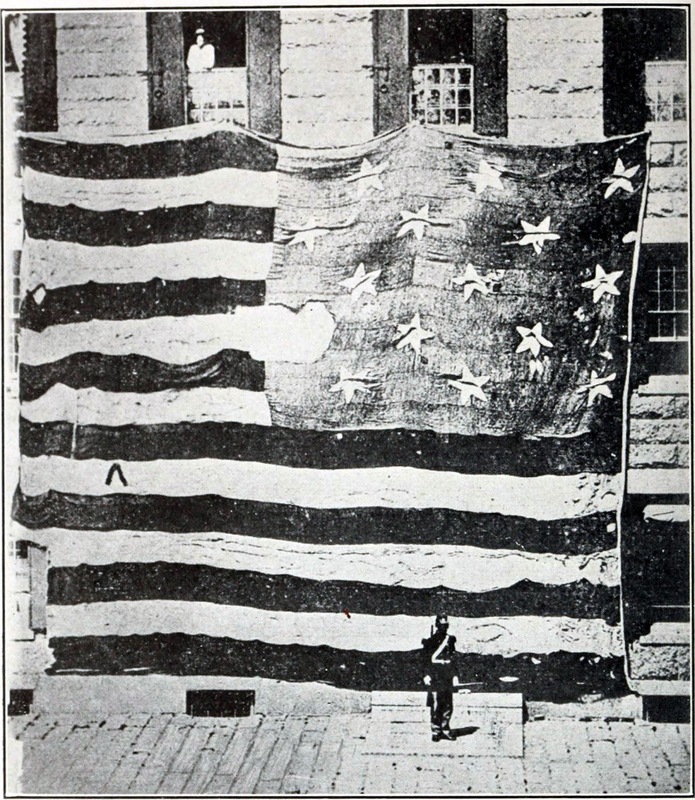 There were actually 18 states in the Union as the war was raging, but Congress had only approved a national flag with 15 stars at that time. 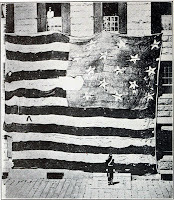 Nonetheless, this mystery intrigued me enough to start doing research on this long-forgotten war which generated not only the flag which has become revered by all Americans- but also the poem turned into a song which later became our National Anthem. By the 1940's, due to the efforts of Veterans and other patriotic groups around the country, the flag and the song became inseparable, now sung patriotically at ballparks and thousands of venues around the United States. 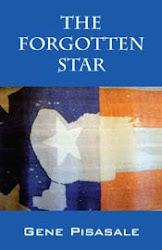 The topic yielded much of interest and energized me to write my latest historical novel "The Forgotten Star" which delves into this conflict and true-life mysteries surrounding the Star-Spangled Banner. What about the other wars which have faded in our collective memories? The Spanish-American War resulted in adding an enormous quantity of real estate to the country, nearly doubling the size of the United States and adding trillions of dollars of mineral resources and land later used to enable us to become self-sufficient in farming and a supplier of food to the world. The Spanish-American War generated a hero- Teddy Roosevelt, riding up San Juan Hill- who later became President and spoke loudly with a big stick to the rest of the world. Korea and Vietnam are a bit more problematical. The reasons for these conflicts were not well understood by most Americans. President Truman nobly tried to halt the advance of Communism in Korea, working in vain to stop another "domino" from falling, but the war went so poorly, he declined to run for re-election in 1952. In the following decade, Vietnam was an eerie reflection of what happened previously. With weekly casualty counts and flag-draped coffins returning home via Dover Air Force Base in Delaware, Americans were becoming weary of a war they didn't fully comprehend. Riots in the streets and flag burnings around the country didn't help any- and in 1968, LBJ announced what Truman did 16 years before- that he would not run for re-election. Both men knew they would have lost and wisely took the road to retirement. Soldiers returned proudly from Korea, but re-entered a country where people didn't always appreciate why they went to fight in the first place. It was even worse for soldiers coming home from Vietnam. Due to atrocities committed by a few, many brave men and women were derided as "baby killers" and murderers when they set foot again on American soil- land they vowed to defend against all enemies for the sake of those who would later scold them for their efforts. Yet, despite the controversies surrounding these two wars, there is no doubt that the men and women who served did so nobly, bravely... in the proud tradition of all who went before them. In the movie "Forrest Gump", the main character- a simple man who fought in vietnam is reminiscing about his days fighting in the jungles, the buddies he lost, the sadness he endured. he says "You know, I think some of America's finest men fought in that war..."
My book "The Forgotten Star" is dedicated to all our Veterans, especially those who fought in the forgotten wars of Korea and Vietnam. My new lecture series beginning in January 2013 will focus on the War of 1812 as well as those from all other coflicts who fought bravely to defend us all. As artist Bernard Perlin (now 94 years old) depicted in his painting "Americans Will Always Fight For Liberty" (made into a poster for the war effort during World War II)- we should always remember the millions of men and women who paid the ultimate sacrifice and also those who did return home... home to a place where we can greet them on the street and say "Thank you, soldier. Job well done." Freedom isn't free- just ask a Marine. 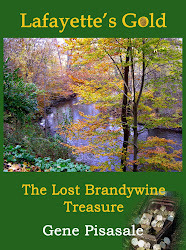 Once they were Indian paths used by local tribes to go from their home sites to places of hunting for sustenance. Later they were Colonial trails, rutted in the rains of Springtime, jarring riders in Conestoga wagons for days as they crossed virgin countryside which would become dotted by homesteads and small villages. Today several towns in western Chester County survive as testaments to those who came before us, hearty Native Americans and settlers who cleared thick forests, followed streams and built pathways for future generations. The land where the borough of Atglen now sits was once a wilderness. Centuries ago, Indians traveled from Paxtang (present day Harrisburg) to Newcastle, Delaware to trade with Swedish and English colonists. The Provincial Highway was laid out in 1730; the Newport Road to iron mines at Cornwall was constructed in 1796. Previously called Penningtonville, the area was renamed by court decree due to its proximity to Glen Run, a stream that flows nearby. Sitting at the intersection of Route 41 and Route 372, this sleepy village may be the only one in America where East and West Main Street run north and south. The region attracted immigrants from England, Scotland and Ireland. The earliest organized religious groups here were the Presbyterians; Upper Octorara Presbyterian Church opened in 1720. The Moore and Philips families were among the first prominent dynasties, the two owning much property around present day Atglen. The Greenwood Forge operated at the location where the Moore homestead stood; it’s now a private residence. Local lore says Indians slept there by the fireplace to keep warm in the Winter. First known as the Fountain Inn, the town of Parkesburg predates the Revolutionary War, when the establishment served weary travelers. The Inn was closed in 1836 and became the first Post Office. Later the town was renamed for local politician John G. Parke, related to Union General John Parke who fought at Fredericksburg and Vicksburg during the Civil War. Parkesburg expanded rapidly when the Philadelphia and Columbia Railroad ran through the settlement beginning in 1831. Numerous repair shops sprung up to service the busy line. Educational institutions were begun to serve the needs of the growing area, including the Parkesburg Academy chartered in 1858 (subsequently titled the Parkesburg Institute). When Horace Beale relocated his iron works from Hibernia to the area, it became the Parkesburg Iron Company. The metals industry hit hard times during the Great Depression. Many workers later found employment at Lukens Steel in nearby Coatesville. Today Route 10 and Route 372 converge at this once bustling location. Compass lies at the intersection of two old Indian paths, one of which ran east-west and became Old Peter’s Road (now Old Philadelphia Pike). It was named after Peter Bezellon, trader and founder of Coatesville who spoke “the King’s English” as well as Indian dialects. Old Peter’s Road ran between Philadelphia and Lancaster and was so widely traveled, several inns and taverns were built along its expanse. One of these- ‘The Sign of the Mariner’s Compass’ still stands today. The other route was the north-south Octorara Trail which went from the Welsh Mountains to Chesapeake Bay. St. John’s Church was formed in 1727 by English, Scotch and German settlers; its graceful structure is prominent along the road running through town. Pastor Thomas Barton was such a loyal Tory during the Revolutionary War, Patriot residents dunked him in the creek to try and persuade him to alter his views. Thomas Halliday, Esquire served as one of His Majesty’s Justices for the Province of Pennsylvania. Stone markers for Bezellon and Halliday stand stoically in the adjacent cemetery. Known first as Compassville due to the well-known tavern, the name was shortened to Compass in 1896. Being the principal village of West Caln Township, Compass attracted many merchants including a general store, a mill and other businesses. Route 340 and Route 10 come together now where the trails once linked. So if you want to take a leisurely drive along some serene crossroads of yesteryear, visit these towns… and stroll through scenes from our history. The quiet villages were built at a time when your horse determined whether you were late for a meeting and the general store carried everything you needed for a good life, along the back roads of our young republic. When people hear the words "industrial revolution", few realize that they were chosen by the historian Arnold Toynbee in 1880 to describe the changes brought about by technology which were as sweeping as those caused by the French Revolution in 1789. Toynbee's lectures at Oxford University put the phrase into the lexicon of our culture and it has grown in stature over the last 131 years. 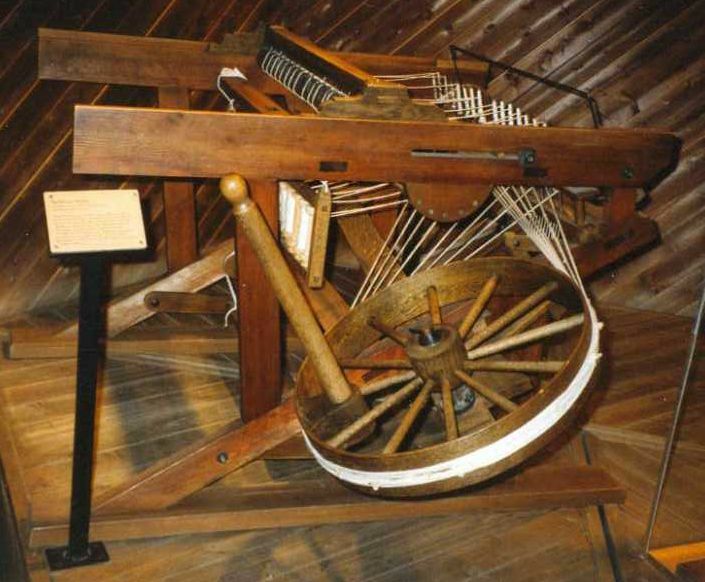 The revolution began in England where the textile industry thrived with the invention of the flying shuttle and spinning jenny, which dramatically increased production. In 1765, 500,000 pounds of fiber was spun into clothing; 20 years later, 16 million pounds were processed. 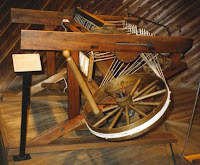 Watt's steam engine in 1769 and his rotary steam engine in 1773 were game-changers, allowing the mechanization of industry, utilizing power beyond the reach of humans and pack animals. 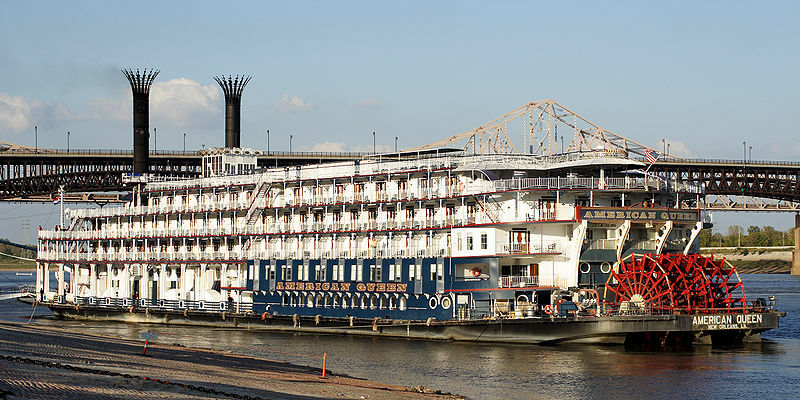 A Scotsman named William Symington first used steam power to turn paddles for boats in canals and later Robert Fulton steered his "Clermont" up the Hudson River in what was the first in a trend of developments which revolutionized the transportation industry. 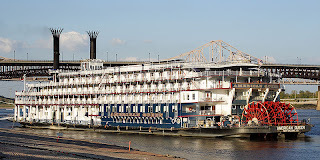 Henry Shreve built multi-decked steamboats- later immortalized by Mark Twain in the novel "Huckleberry Finn"- and Shreve's influence would become so pervasive, the city of Shreveport, Louisiana was named after him. Between 1875 and 1930, the stream of inventions arriving on the world stage was truly astonishing. Alexander Graham Bell's telephone in 1876 and Edison's development of the phonograph, the incandescent light bulb and the first power plants in the early 1880's altered the landscape of business and daily living. 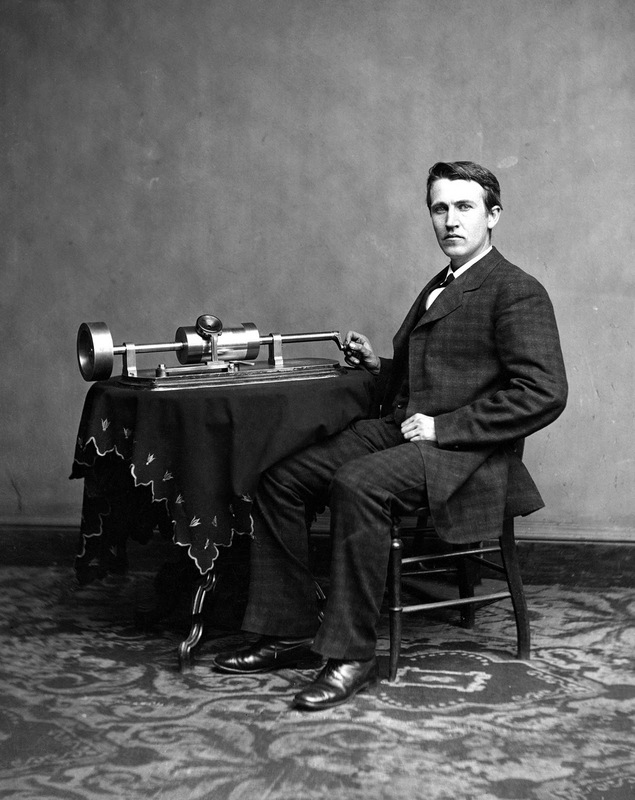 Edison's 1,093 patents touched- and changed- every facet of our existence. Around the year 1900, Marconi's wireless and later Edison's motion pictures, radio and Baird's development of television ramped up the pace. A critical resource- information- was now flowing quickly and freely. The unending flow of world-changing inventions not only improved our lives- they saved our young republic. 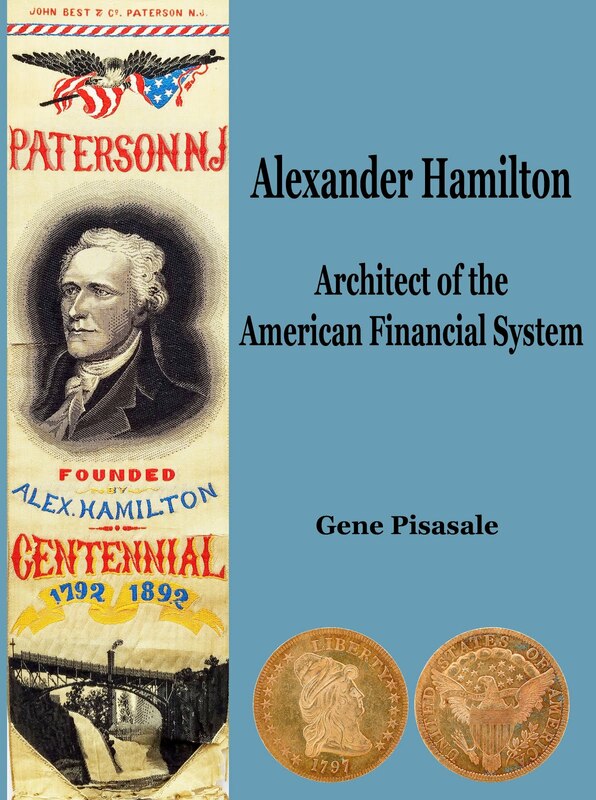 America experienced six financial panics from 1837 to 1920 and four major wars during that same period- roughly one every 17 years. Yet, we survived and eventually thrived, the improvements in technology giving a boost to businesses and economic growth, generating millions of jobs. Samuel F.B. Morse developed the telegraph and a new industry- telecommunications- in 1844, sending a message sitting in the U.S. Capitol, tapping out the words "What hath God wrought?" Just after the Panic of 1873, Bell's telephone, Edison's quadruplex telegraphy, the phonograph and light bulb boosted economic economic activity. Around the time of the Panic of 1893, Tesla's induction electric motor and Diesel's engine ramped it up again. I often wonder what our lives would be like without cell phones, computers and T.V. Would we concentrate on simpler things- like sitting down with friends and family face-to-face, sharing our thoughts in front of the fireside- just as our ancestors did centuries before? One thing is certain. It's been about 100 years- going back to the time of Edison, Henry Ford and the Wright Brothers- since we've been able to enjoy something sublime: silence. Peace and quiet. It's nearly impossible today to go more than five minutes without a loud car roaring by, someone's boom-box disturbing the night or a plane roaring overhead. What's been sacrificed in our love affair with technology? Perhaps simply the ability to concentrate our thoughts, sit in solitude and relax- without noise and interruption. If you look at how people, especially young people around the ages of 15-25 live their lives today, it appears some have also lost something very precious- personal skills. An entire generation has grown up closer to their computers and cell phones than to other human beings... What have WE wrought? 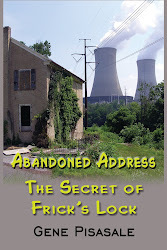 I sent a copy of my new historical novel "Abandoned Address- The Secret of Frick's Lock" which deals with the inventions of Edison, Ford and the Wright Brothers- to William Clay Ford, the CEO of the Ford Moter Company. 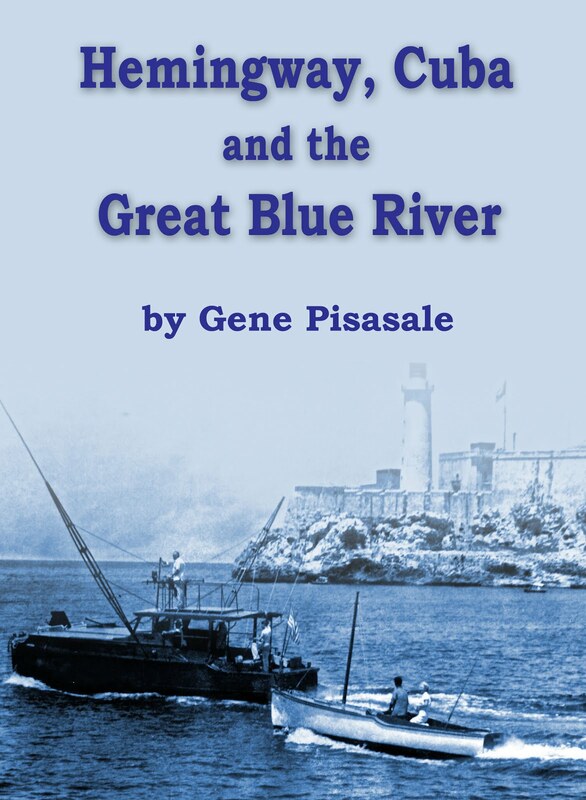 I received a wonderful letter in response, thanking me for the book and the mention of his great grandfather, who helped to build the industrial base of our country. Ford noted our challenges to rebuild that base in the current economic downturn- a daunting task in times of high unemployment, a weak dollar, huge national debt and a continuing loss of jobs to China and other Asian countries. As I read his letter, I felt the spirit of Henry Ford and so many others who helped our economy thrive despite financial panics, wars, a Depression and other times when it seemed we had lost our way. 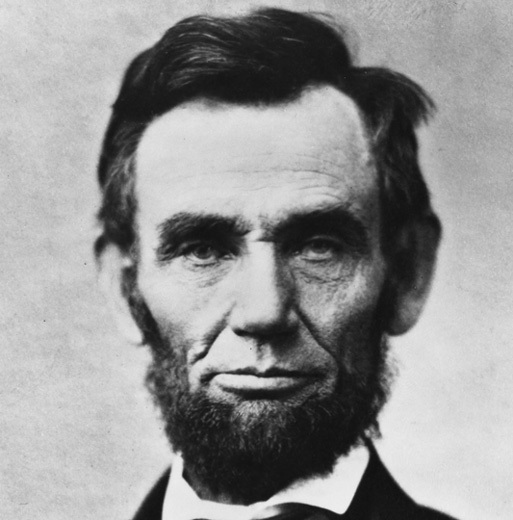 I recall Abraham Lincoln's words, a sign of his commitment to our country, which was once called a "noble experiment". Lincoln remained steadfast and true to his principles despite the daily military horrors and many Union defeats during the Civil War, a nation tearing itself apart before his eyes. It seemed we were destined to fail. "America will never be defeated from the outside. If we falter and lose our freedoms, it will be because we destroyed ourselves... 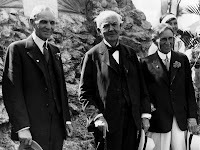 I dream of a time when America will once again be seen as the last, best hope on Earth..." As with Lincoln and Ford, I know that through hard work and ingenuity, America will once again thrive, our potential limited only by our creativity and dedication to excellence.